Hello, my name is Peter Harrower. 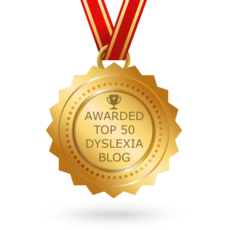 I was diagnosed with a Learning Disability and Dyslexia at age six. It has been a long journey for me over the years. My disability really kept me down and under for most of my life. Before I get too far, I want to tell you first how blessed I am. I have an unbelievable family and my parents did everything they could to help me over the years battling this weakness of mine. I'm very lucky and grateful for everything they did for me. I'll be an honest school was like a prison for me. I HATED school with a passion when I was going through it over the years. My one and only goal from second grade when I was officially diagnosed even though the process started halfway through first grade. I still remember those days, crying in the morning before I went to school. Doing homework with my parents and studying for tests.